The Legislative Assistant to Rt. Hon. Mrs. Dorothy Kpentomun Mato representing Vandeikya/Konshisha Federal Constituency of Benue State, Lynda Adzuanaga Esq said the attention of Hon. Mato was drawn to a court process filed on the 31 of November, 2017 by Mike Utsaha Esq, a Barrister and Solicitor of the Supreme Court of Nigeria on behalf of his client, a certain Fidelis Ahangba Angweh who claims to be a constituent of Hon. Mato. She said sometime in August 2017, the same legal practitioner filed an action on the same subject matter and joined Rep. Mato as a party. Indeed, this legal action, served as part of the delay in the swearing-in of Hon. Mato as Rt. Hon. 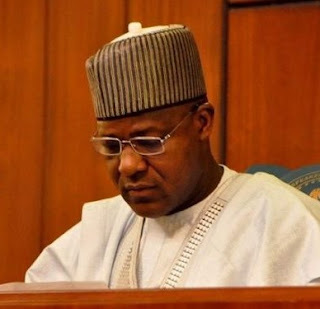 Speaker Yakubu Dogara was willing to allow all legal actions to be exhausted before he would administer the oath of office on her. According to her, the said Ahangba never reached out, sought the opinion nor ever communicated with Rep. Mato in the course of filing this case. Mato neither knows nor has ever come in contact with the said applicant. "If indeed he was fighting her cause, why has he never bothered to reach out to her to know the true situation of the matter seeing that the entirety of this case is premised on her not beeing sworn-in on time? "We are convinced beyond every shadow of doubt that the cause of the action is premised on Mischief and the actor of a badly written script. Hon. Mato is focused on doing the good work for her constituency and not to be distracted", she said.